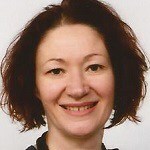 My name is Carine and I am a qualified, experienced and enthusiastic native French tutor. I have been teaching French to adults for over 15 years. I have taught in a variety of settings (schools, homes, manufacturing plants, offices) and I particularly enjoy teaching business French and preparing learners for work assignments. I believe a good tutor should be inspiring and always focused on their learners’ individual needs, giving them confidence, teaching them French but also giving them the amazing opportunity to discover a new culture.